"Il Buon Condimento" of the vinegar manufacturer Acetaia Dodi distinguishes itself by a light and unobstrusive taste. This balm vinegar has a high acidity and a determined aroma by which it is often usable. Optimally it is raw, for turning on salads, as a dip of vegetable stripe and Carpaccio. Also it is suited very well as a base to the cooking of game and chicken. This equally natural and high-quality aromatic flavour also gives refinement to the simplest dish. 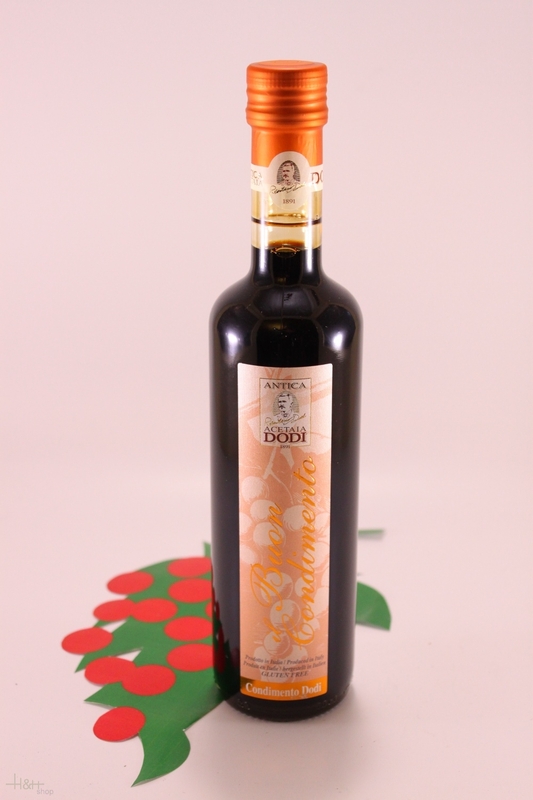 Buy now this product together with Balm Vinegar Balsamico Riserva di Famiglia Duca Dodi Acetaia 250 ml. 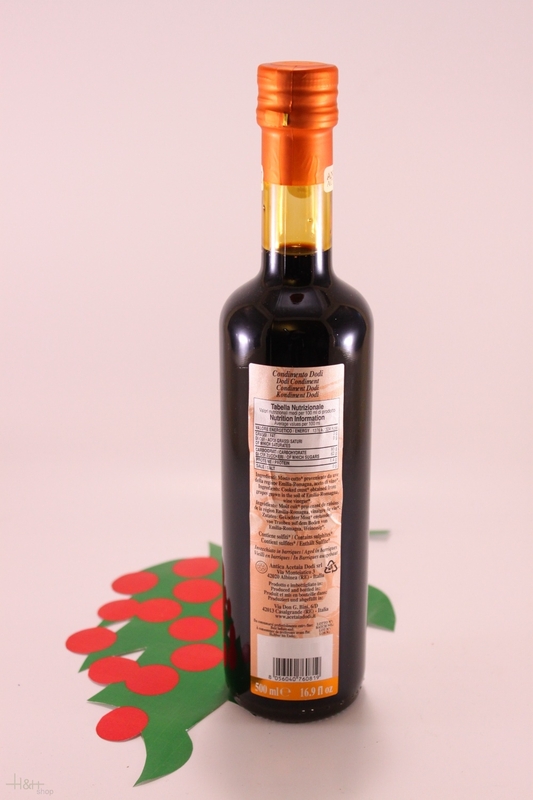 ready for shipment: in stock Balm Vinegar Balsamico Riserva di Famiglia Duca Dodi Acetaia 250 ml. iT IS THE BEST VINEGAR I HAVE EVER ATE! The best vinegar I know! The best vinegar I know! ..